Jingqi Yu harbors an insatiable taste for adventure. As a freshman at UCLA, she once flew solo to San Francisco simply to buy a box of South African dark chocolates from a shop she found on Yelp. Once Yu sets her mind on a goal, it’s difficult to sway her. Determination and a willingness to challenge personal limits powered Yu through four years at UCLA as an international student, earning her dual degrees in cognitive science and communication studies with a minor in computer programming. This fall, she will pursue a PhD at Indiana University, Bloomington. As a young girl in Hangzhou, Yu thought she wanted to be a fashion designer, a model or an astronaut when she grew up. She had no clue what she wanted to do, she said – she only wanted to be different. For a girl who once feared speaking English with other students, Yu has embraced her differences. The decision to move halfway around the world for college initially confused Yu’s father. Yu challenged herself academically the moment she arrived, beginning with prerequisites for an environmental science degree. And although people advised her against history classes, Yu enrolled in one anyway. Yu said she studies for future benefit, not solely for the purpose of acing tests. One quarter, she enrolled in computer programming to test how well she could handle new subjects, specifically one that caught her interest: cognitive science. Yu worked closely with her T.A., consulting programming textbooks in both Chinese and English to master the material. She became addicted. Thus, Yu maintained an excellent GPA – yet she struggled with another conflict, the English language barrier. She would visit office hours thirty minutes early with a list of detailed questions, but left nervously when other students arrived. Yu decided to change her attitude. During lecture, she forced herself to sit in the front row where she could speak up. She joined the Students Alumni Association, becoming one of the only international students in a group of about 100 peers. She even felt comfortable joining her classmates on a mountain retreat, when before she preferred to hang out only with Chinese students. 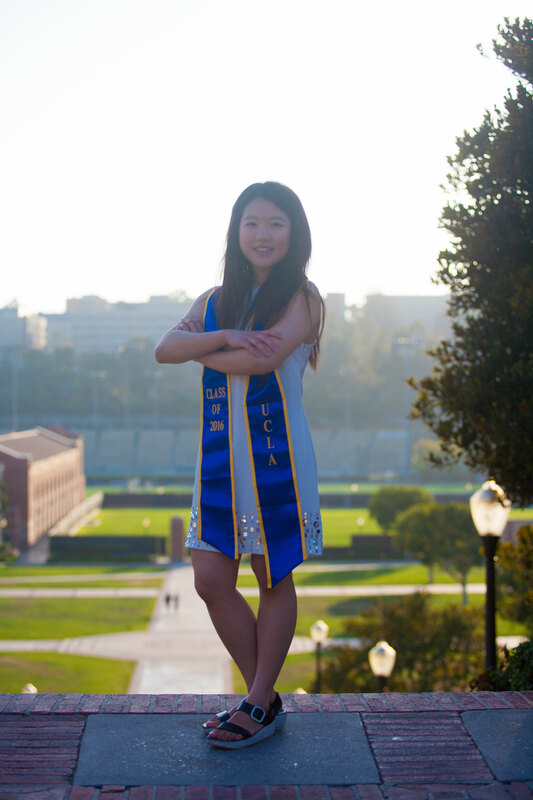 Motivated to help others with their own transitions to UCLA, Yu created the Global Connections Council in 2013. As a co-founding member, she planned events and coordinated cross-cultural social opportunities for international students. Meanwhile in the academic world, Yu translated her passion about cognitive psychology and perceptual systems into a new avenue. She threw herself into the competitive research scene, remaining persistent despite countless rejections and unanswered emails. Through her first position at Silvalab, she learned how to handle lab mice and conduct immunohistochemistry analysis to study cognitive disorders. 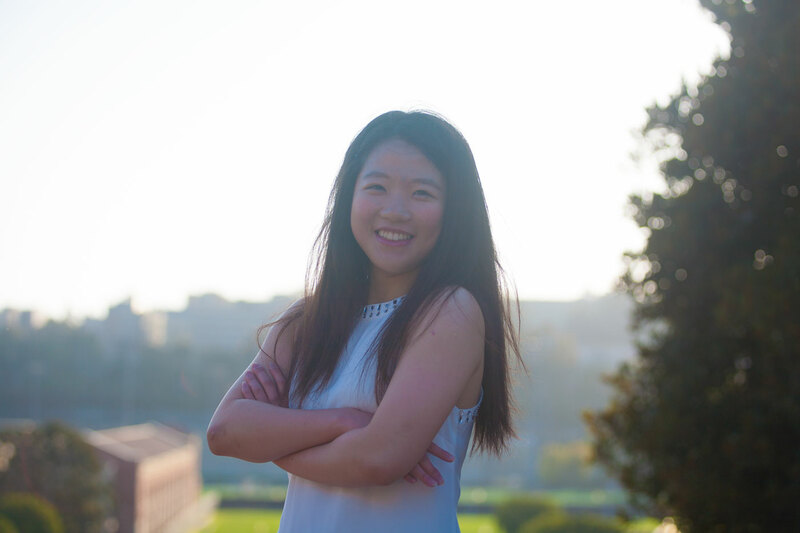 Yu later joined the UCLA Bjork Learning and Forgetting Lab, completing an independent Honors Project to optimize the way college students memorize GRE vocabulary words. As a junior, she joined another lab to study how adults reason mathematically and perceive numerical magnitude. She also served two years as editor of the Undergraduate Research Journal of Psychology. Yu’s post PhD plans come full circle with her academic experiences: she wants to remain in America and become a cognitive science professor herself. She said her goals were inspired by UCLA professors, such as Phil Kellman, who showed her how much they cared about student learning and the reformulation of education. Yu’s agenda speaks to her desire to learn and connect with others. When she traveled to San Francisco for chocolates, for instance, she spent lots of time talking with the chocolatiers and boutique owners about their personal stories and the inspiration behind their art.